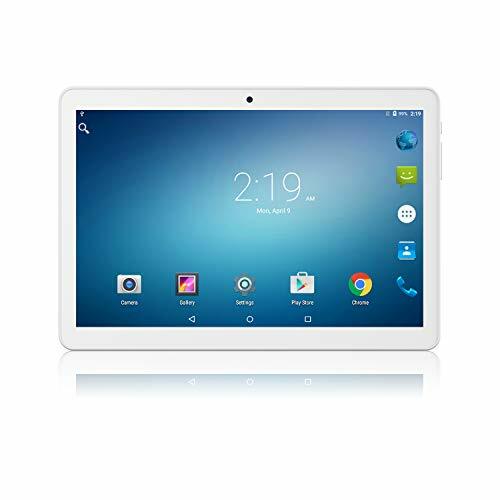 Lectrus Tablet 10 inch Android Go 8.1- Best Choice LectrusTablet for Quality, Size and Price. Android Go 8.1 GMS Certified LectrusTablet: Our newest tablet is GMS certified with Android 8.1 Oreo operating System which would mean you can play all your favorite apps such as SKY GO and netflix and games without any compromise. With 2MP Front and 5MP Rear Cameras, it is convenient for pictures and ideal for video chat. Crisp and vivid 10.1" IPS display--Lectrus 10.1 inch tablet features a 1280 x 800 IPS display with 171 ppi for a bright display with vivid colors and whiter whites for a great viewing experience from all angles. Compared to the 7" tablet, Lectrus 10.1 inch tablet features an improved display that provides higher contrast and sharper text. No more worrying about storage space--Expand your tablet's storage by up to 128 GB using a microSD card to keep your photos, movies, and compatible apps and games with you. Plus use OTG cable connect to other devices, such as keyboard, mouse, speaker etc.